The Midwest Symposium for Leadership in Behavior Disorders awards a plaque to an individual who has exhibited outstanding achievement and excellence in classroom service to students diagnosed with autism spectrum disorder (ASD). Nominations will be accepted from recognized professional organizations, parents, and educational staff. Click on the link above to be directed to see the award criteria. "Connect with Us" to be added to the mailing list to be notified with updates and registration information. 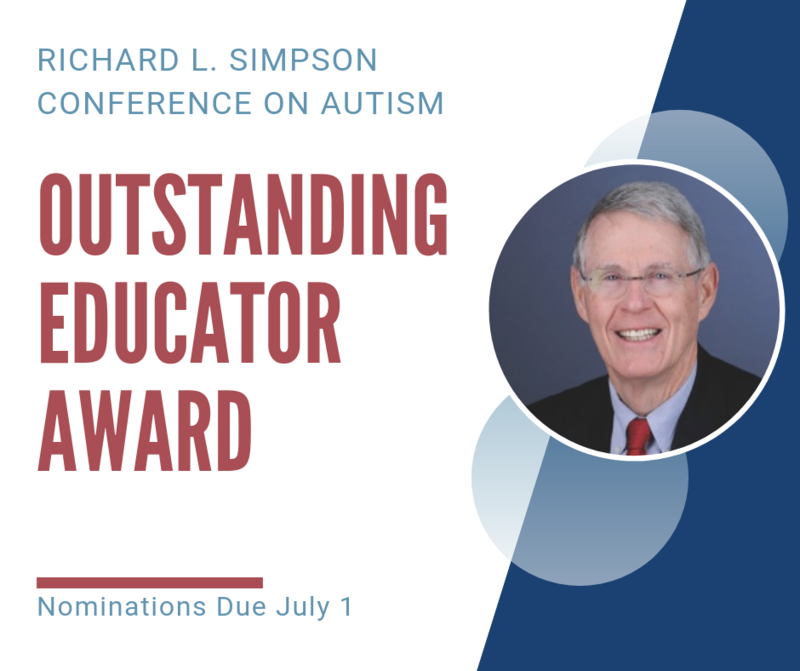 Midwest Symposium for Leadership in Behavior Disorders will annually recognize an individual at the Richard L. Simpson Conference on Autism for outstanding achievement and excellence in classroom service to students diagnosed with autism spectrum disorder (ASD). The recipient will receive expenses to attend the conference in order to receive the award in person. Award criteria and requirements for the nomination are available here.